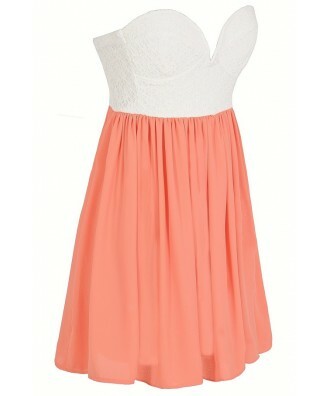 We think this dress is the perfect combination of flirty and chic! The Sonya Flirty Lace and Chiffon Dress is fully lined. It features a sweetheart neckline, lined and lightly padded bust, and subtle bustier bust that adds to the flirty appeal of this style. 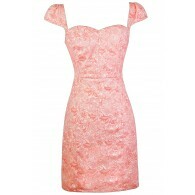 This dress included adjustable and removable spaghetti straps so you can decide if you want to wear it strapless or not. 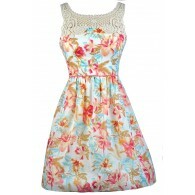 The top is made of textured floral lace while the attached skirt is made of flowy chiffon. A hidden zipper in the back completes this dress. The Sonya Flirty Lace and Chiffon Dress would look nice paired with pumps and a clutch to your next event. Details: Made in USA. Fully lined. Lined and lightly padded bust. Adjustable and removable spaghetti straps. Invisible back zipper. 100% polyester. Contrast: 90% cotton, 10% nylon. Lining: 100% polyester. Small measurements: Length from top of bust to hemline: 25.5”. Bust: 30”. 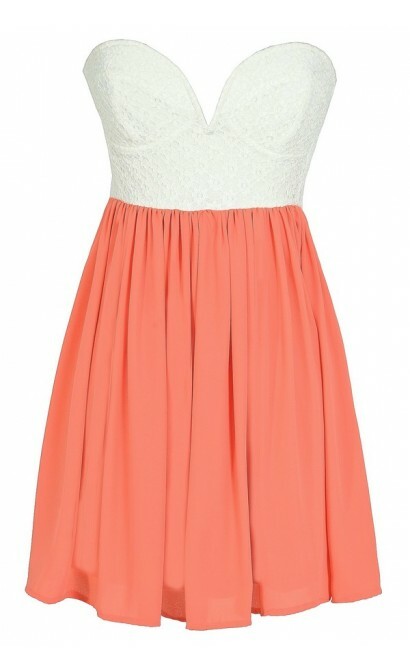 You have added Sonya Flirty Lace and Chiffon Dress in White/Orange Peach into Wishlist. 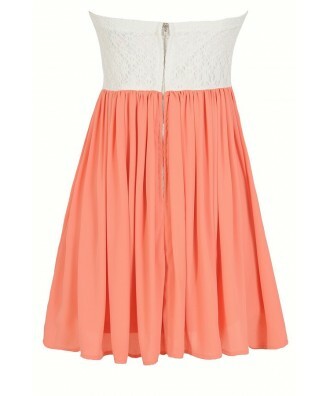 You have added Sonya Flirty Lace and Chiffon Dress in White/Orange Peach for Stock Notification. 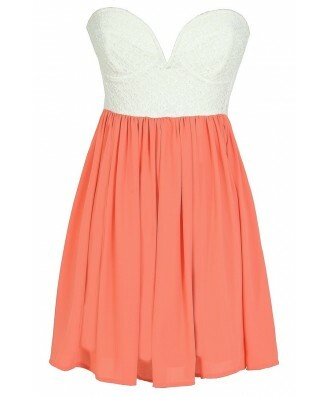 You have set Sonya Flirty Lace and Chiffon Dress in White/Orange Peach as a loved product. 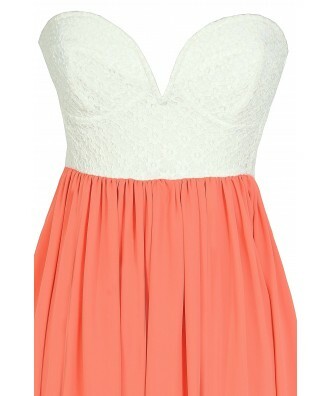 You have removed Sonya Flirty Lace and Chiffon Dress in White/Orange Peach as a loved product.